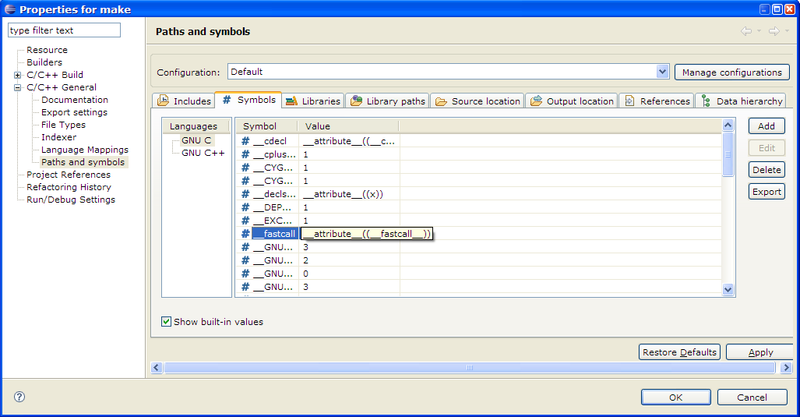 You can modify the list of preprocessor symbols. Displays languages related to this project. Select one to see corresponding symbols. List of symbols related to given language. Check to display system (built-in) includes.